“Recently, we’ve seen some great customer traction with our token sale. 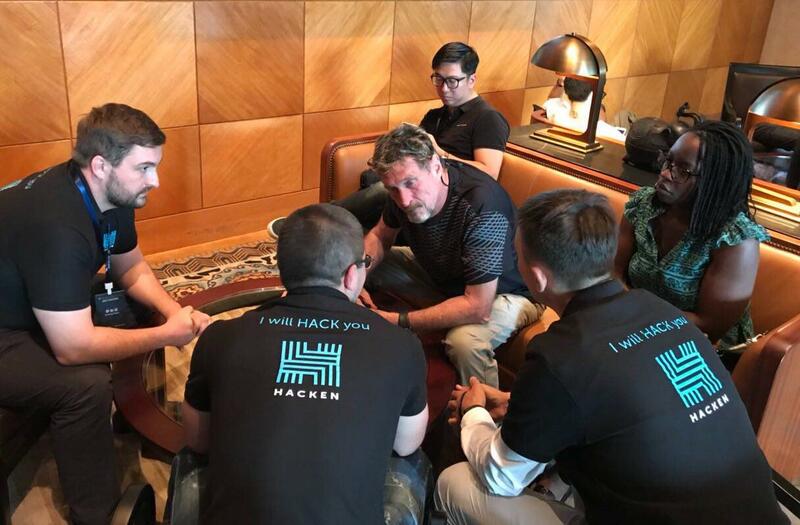 It intensified after John McAfee joined Hacken as our product advisor. Currently Hacken is en route to a successful completion of its token sale, with more than $3.2 million raised in the fiat equivalent. Our team has also completed the development cycle for HackenProof cybersecurity marketplace, our flagship product,” — Hacken Co-Founder Dmytro Budorin said. At 15:00 UTC on Wednesday, November 22, 2017, Hacken will hold online video conference featuring John McAfee and Dmytro Budorin. John and Dmytro will discuss the current token sale, the upcoming release of HackenProof cybersecurity marketplace and the reasons why John decided to join Hacken. The event will be hosted by Simon Cocking – Editor-in-Chief of Crypto Coin News and top-10 in world’s most influential fintech voices on Twitter. Watch the live stream at blackfriday.hacken.io and ask your questions on Twitter using hashtag #HackenBlackFriday. Two best questions will be chosen and rewarded 150 HKN each. Visit hacken.io to buy HKN. Follow us on Twitter or ask your questions via Telegram or on our Facebook page.